Fried Pickles are a surpisingly delicious and easy appetizer recipe. 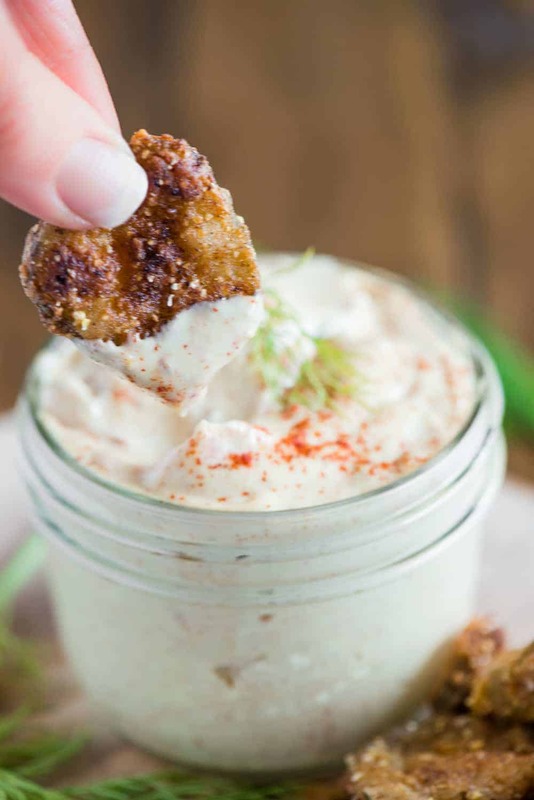 A crispy buttermilk cornmeal crust over a tasty dill pickle with remoulade sauce – YUM! This recipe is strangely addictive. 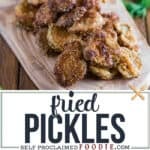 Most people aren’t even sure what to expect, but once they start eating these fried pickles, they have a hard time stopping! 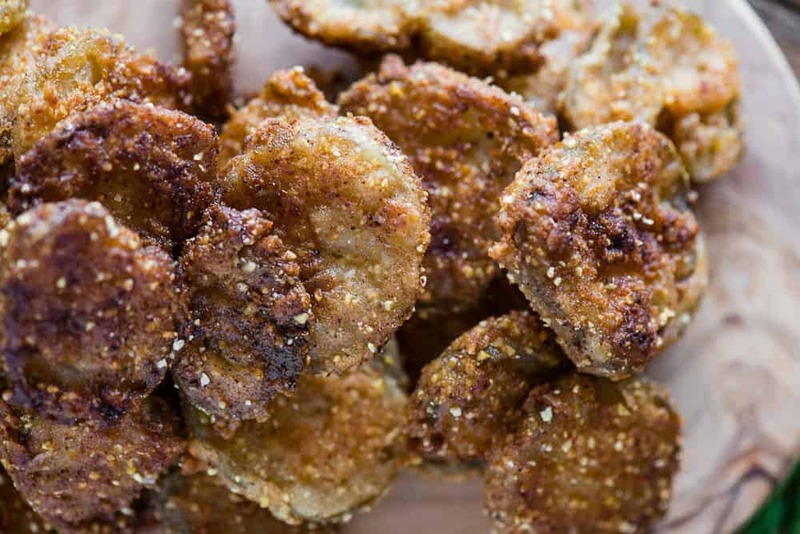 If you’re from the South, you’re probably well acquainted with fried pickles. Me, being a West Coast girl, haven’t been exposed to fried pickles. They were a bit of a mystery to me, to be totally honest. Fried pickles? Really? Oh my gosh. They are far better than I ever thought they could be. Crispy on the outside. Salty and tangy on the inside. 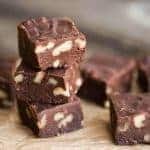 I was intrigued with the first bite and with each bite that followed they just got better and better. What is a fried pickle? Fried pickles are basically sliced dill pickle that have been battered, breaded, and fried to a crisp in hot oil. They are traditionally served as an appetizer in the South. They first because popular around the 1960s, so they haven’t been around forever but boy have they caught on! Isn’t Southern cuisine the best? Even if you’re not a huge dill pickle fan, I urge you to try these. Do they taste like pickles? Yes, but the intense vinegar flavor is dulled when you fry them like this. Perhaps it’s because of the buttermilk neutralizing the acid? Not sure. Anyway, if you’re wondering what fried pickles taste like, there’s really nothing that compares. 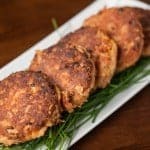 I wanted a really crunchy outside, so I used cornmeal along with flour in the coating and that made a huge difference in the texture and taste. SO GOOD! And because pickles are generally salty, no additional salt should be necessary. The first step is an important one. You must lay your pickle slices out on paper towels ahead of time. 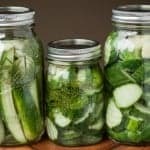 Super wet pickles will not fry properly. Use the paper towels to pat the pickles dry. Prior to frying, you’ll combine some flour, cornmeal, cajun seasoning, paprika and garlic powder in a small bowl. You’ll also have some buttermilk ready for dipping in a separate bowl. You can batter and bread all of your pickle slices ahead of time so that you can add them in batches to the hot oil. 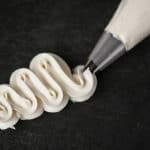 The easiest way to do this is to line a baking sheet with some parchment paper. Dip each pickle slice into the buttermilk, then coat with the flour mixture on both sides. Shake off any excess and set each slice on the parchment until you’re ready to cook. You’ll want to heat your oil over medium high heat in a fry pan. Use a thermometer so that you know when it hits 375 degrees F. As soon as it does, add enough pickles so that you basically fill the pan but give them enough room so that they’re not touching. When you fry foods, it’s important to give the food enough space as well as to not lower the temperature of the oil too drastically. Turn once after it’s golden brown, then allow them to drain on a paper towel lined plate. 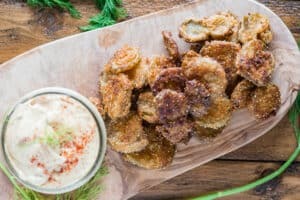 Fried pickles are best served hot, but I’ve also eaten them cold after they had been sitting on the counter for awhile and still thought they were delicious! What to dip fried pickles in? I served my fried pickles with a remoulade (recipe coming next week – sorry!). You can easily serve fried pickles with ranch dressing, bleu cheese dressing, or even mayonnaise (don’t knock it til you try it). What is the best way to reheat fried pickles? If you happen to make a huge batch of fried pickles and end up with leftovers, they’re very easy to reheat. I would absolutely avoid reheating these in the microwave. That method would only result in soggy fried pickles. Yuck. 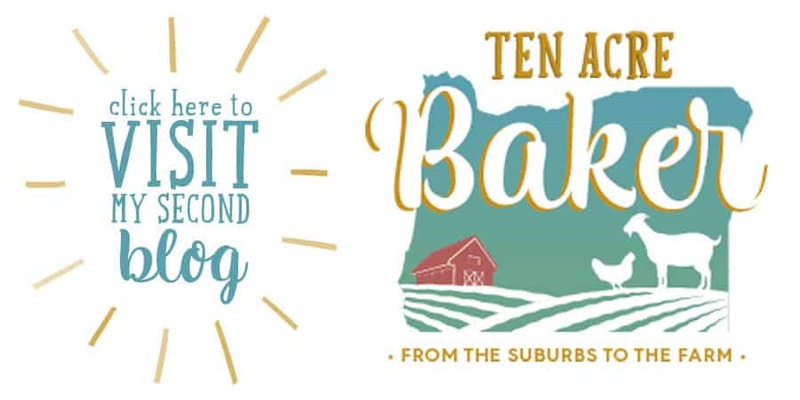 Instead, I would lay them in a single layer on a parchment lined baking sheet and reheat in the oven at like 300 or 350 degrees F, turning only once. They should heat rather quickly and should remain crispy that way. 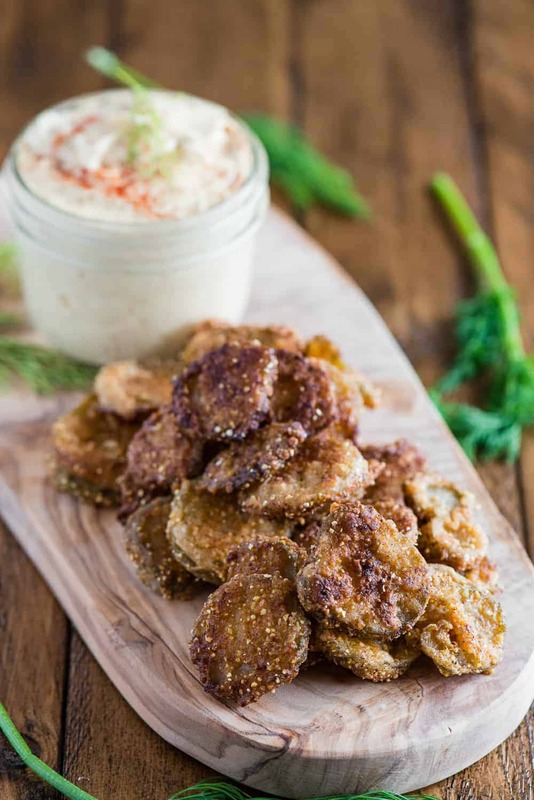 Fried Pickles are a surpisingly delicious and easy appetizer recipe. A crispy buttermilk cornmeal crust over a tasty dill pickle with remoulade sauce - YUM! Lay pickle slices in a single layer on paper towels and gently press down to draw out as much moisture as possible. In a small bowl, mix together flour, cornmeal, cajun seasoning, paprika, and garlic powder. Set aside. Have buttermilk ready in a separate bowl. Line a baking tray or cutting board with parchment paper. Heat oil in deep skillet over medium high heat to a temperature of 375 F.
Dip pickle into buttermilk mixture, shake off excess. Then coat pickle in flour blend and shake off excess flour. Set on parchment paper. 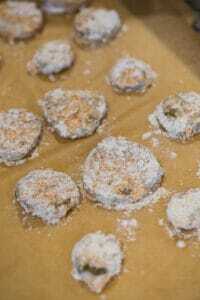 Once you have breaded all pickles, give them one more coating in the flour blend mixture before placing in the hot oil. You want them to have plenty of room to cook and not drastically reduce the temperature of the oil, so you may have to fry them in batches. Cook pickles until golden brown, turning at least once. This should take at least 1 1/2-2 minutes. Place on paper towels to drain. Serve the fried pickles immediately so they are hot, but they are still good at room temperature. 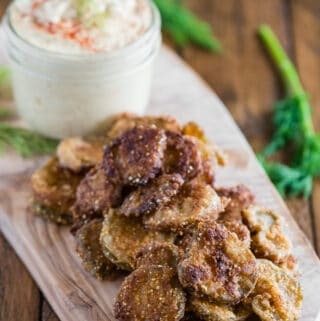 i LOVE fried pickles.. cannot wait to make these! Thank you so much for sharing.